← Love butterflies? Host caterpillars! 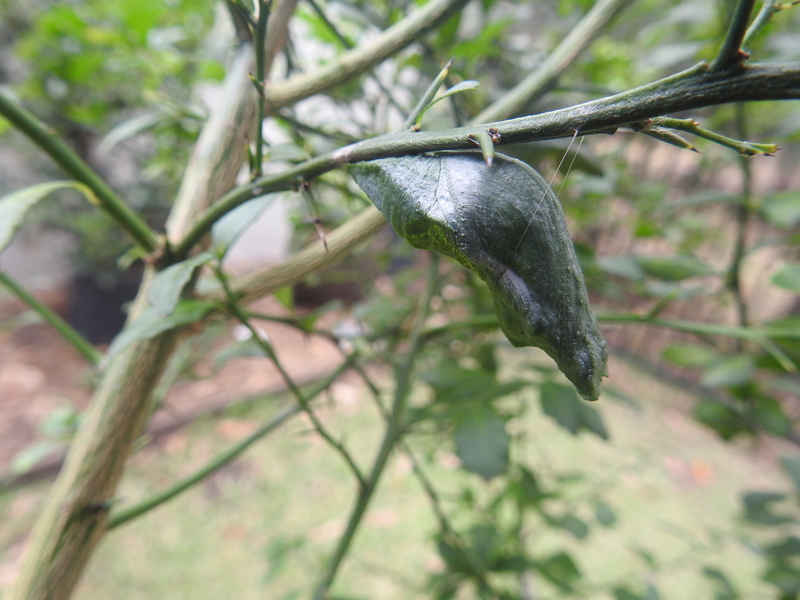 Yesterday she was hidden in a chrysalis transforming ready to emerge this morning as beautiful new butterfly. 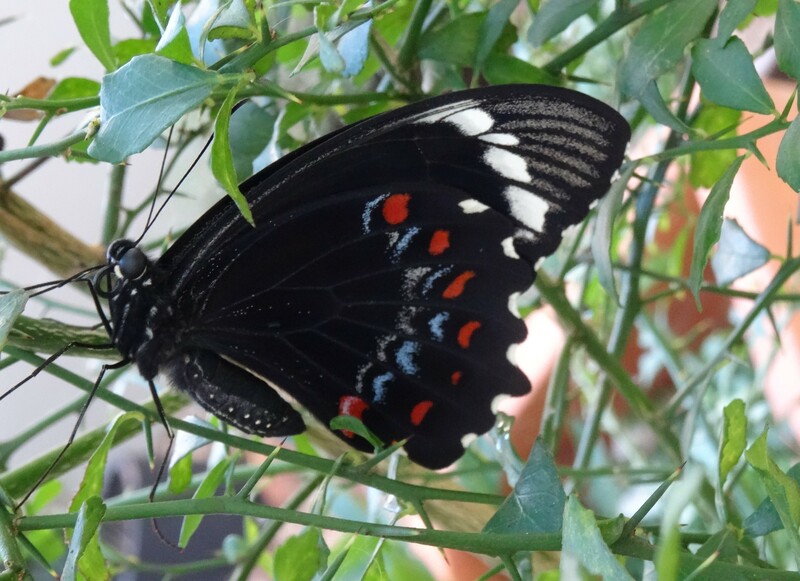 This entry was posted in Pollinator Link and tagged Butterfly, chrysalis, Metamorphosis, Orchard Swallowtail Papilio aegeus. Bookmark the permalink.